Let’s talk about what a lung cancer diet can do to prevent and manage the disease. Lung cancer is the top killer of men and women worldwide. In 2008, 14% of all cancer diagnoses in the US; and 28% of all cancer deaths were due to lung cancer. Because of the increase in the number of women smoking, lung cancer deaths have doubled in women over the last few decades and are now as high as men’s – a disturbing trend, especially since many women appear to start smoking at a younger age than men. While 85% of lung cancers are thought due to smoking; 10% to 15% of those diagnosed with lung cancer are non-smokers. Environmental factors, including diet and lifestyle, are thought to play a role. Lung Cancer Diet Facts - What is Lung Cancer? Primary lung cancer generally starts in one of two areas - the bronchia, the tubes that funnel air from the trachea; and the alveoli, the air sacs within the lung. About 85% of lung cancers are non-small cell. Relative to small cell lung cancer, non-small cell is generally a slower growing cancer that doesn’t metastasize as readily to other organs. However, both are deadly and have a canny ability to metastasize, due to lung tissue’s rich network of blood vessels, which enable cancerous cells to migrate more easily than in solid organs. Symptoms of lung cancer can be a persistent cough; hoarseness; pain in the chest, stomach or ribs; shortness of breath; possible blood in sputum; and fatigue, among others. Aside from metastases to other organs as described below, tumors in the lung can intrude into the voice box, the upper arms, the stomach and other organs causing pain and impaired organ function. Most lung cancers are detected by chest x-ray undertaken for suspected cancer or unrelated conditions, in which event lung cancer is discovered accidentally. CT scans, as well as other diagnostic techniques like MRI and various types of biopsy are used to confirm the diagnosis, depending on symptoms and the cancer’s suspected location. If the cancer hasn’t spread to other organs, surgery to remove the tumor or tumors may be possible, if it’s determined there will be enough lung tissue left for breathing. In addition to and in conjunction with surgery, radiation therapy is common along with various chemotherapy regimens. Sometimes a combination of the above is used. Depending on the stage and extent of the lung cancer, pain management is often a prime focus in lung cancer’s treatment and management. A lung cancer diet can play a role in pain management. While a January 2013 study published in Journal of Thoracic Oncology stated that, while COPD and pneumonia are not risk factors for lung cancer, “an extremely strong unadjusted relationship” exists between both conditions in the six months prior to lung cancer diagnosis (sounds like a risk factor to me). … It follows that people suffering COPD or pneumonia should ensure their immune system is in fighting form to prevent lung cancer taking hold and check with their doctors if they are concerned. Lung Cancer Diet Facts - Why is smoking so bad for lung cancer as well as health generally? The biggest risk factor for lung cancer is smoking. This includes cigarette, pipe and cigar smoking along with passive smoking, aka, second hand smoke. Risk is related to dose and duration – the more cigarettes a person smokes per day for the more years, the greater her risk of lung cancer. Lung cancer can take 10 to 30 years or more to develop. Pack a day smokers have an over 30 times greater risk of getting lung cancer than non-smokers. According to the Merck Manual, about 10% of all smokers will get lung cancer. The myriad chemicals (more than a 7,000 have been identified with at least 70 known to cause cancer in humans and animals) within cigarette smoke affect the immune cells in the bronchia and lung but also those throughout the body …. No surprise that smoking is a risk factor for not only lung cancer but mouth cancer, larynx cancer, esophageal cancer, bladder cancer, pancreatic cancer and breast cancers, among others. The chemicals in cigarette smoke are pervasive and raise risk for health conditions other than lung related conditions or cancer. Smokers are at higher risk for COPD and emphysema than non-smokers. Smoking affects a woman’s fertility, with women smokers going into menopause 3 to 4 years earlier than non-smokers: Smokers having a higher incidence of miscarriage and preterm low weight babies: As well women smokers suffer a higher incidence of osteoporosis and bone fracture than non-smokers. The list of cigarette related health conditions is as long as a giraffe’s neck. Smoking, like alcohol, seems to affect women more than men, with some studies suggesting that women smokers are more likely to get lung cancer than men who smoke the same amount. While not smoking or stopping smoking is the greatest thing you can do to lower your risk of lung cancer, there are other measures. Implementing a lung cancer diet is one of them. On top of reducing exposure to lung cancer promoting substances in the work place and home including radon gas, asbestos, heavy metals and pollution; eating enough of the right food and avoiding the wrong kinds can lower your risk of lung cancer and help manage the disease should you get diagnosed. It’s why a lung cancer diet is worth considering. A lung cancer diet will be one that includes foods high in antioxidants including Vitamin C and Vitamin E and the cancer fighting carotenoids, as well as healing fats including sufficient Omega 3’s – the latter consumed in healthy ratio with Omega 6 fats. Vitamin D blood levels should be adequate too. Low levels of both are associated with an increased risk of lung cancer. Food and supplements can provide these, as well as in the case of Vitamin D, adequate sun exposure. Some foods to include regularly in your lung cancer diet are a surfeit of brightly colored fruits and vegetables chockablock with Vitamin C and cancer protective carotenoids; the Indian spice turmeric; cold water fish and their oils or other Omega 3 rich seeds; selenium rich Brazil nuts, sunflower and sesame seeds, and fish and sea food; traditional soy foods including tofu, tempeh and soy sauce; and green tea. Vitamin C rich foods, namely fruits and vegetables. Carotenoid rich foods found routinely in brightly colored green, yellow, red and orange veg. Selenium rich foods including brazil nuts, sunflower and sesame seeds, fish and seafood, eggs, meat and whole grains. Curcumin the active ingredient in the Indian spice turmeric and a mainstay of most curries. Soy foods including tofu, tempeh, tamari (soy sauce) and soy milk. Omega 3’s including cold water fish like tuna, salmon, sardines, herring and their oils; as well as flax, chia and hemp seeds and their cold pressed oils. Vitamin D3 via fortified foods, sunlight exposure or supplements. Green Tea on a regular basis twice a day in order to benefit from the anti-cancer polyphenols in it. With the above in mind, the number one tip for any lung cancer diet is to focus on eating an abundance of fruits and vegetables. Myriad studies have confirmed the association between a high intake of fruit and vegetables and a reduced risk of lung cancer. Some studies have shown those with a highest intake of fruit and veg having up to a 50% lower risk of lung cancer than those who consume the lowest amount. As well as tasting great and providing superb texture, color and depth to your meals, eating fruit and vegetables regularly and in abundance can provide an unbeatable cocktail of cancer-preventative antioxidants and phytochemicals which supplements cannot equal. See the below discussion on Vitamin C as well as lycopene and other carotenes for which fruits and vegetables are the prime source. When you have cancer, fruits and vegetables can function like a thrice daily chemotherapy bathing your cells in health-promoting and disease-preventative nutrients enabling your immune system to better fight tumors. Click on Cancer and Nutrition, Cancer Prevention Diet, Cancer Fighting Diet and Cancer Foods to read more about the role of fruits and vegetables and their nutrients in combating cancer. Press on Healthy Diet Tips and Healthy Balanced Diet for ways to incorporate more fruit and veg into your and your family’s lung cancer diet. Next, let’s examine some of these nutrients in more detail. The US government advises that smokers consume 35 mg of vitamin C more than the RDA to offset the oxidizing effects of smoking. Many experts believe that the government guidelines for vitamin C are too low for healthy people, let alone those indulging in a free-radical generating activity like smoking. See benefits of vitamin C for details about how this vitamin functions as an antioxidant, what foods are good sources of vitamin C and on how much vitamin C is best. For the purposes of a lung cancer diet, vitamin C is an essential component of the tissue matrix and, therefore, important for maintaining healthy lung tissue and healthy blood vessels that are concentrated in lung tissue. As well, vitamin C is the cornerstone of any antioxidant regime because of its ability to reload spent anti-oxidants like vitamins E and beta-carotene that may have become oxidized. In fact, vitamin C, along with selenium and other nutrients, may be the missing link to avoid the increased risk of death by lung cancer found among smokers (but not non-smokers) who’ve supplemented beta carotene alone and, for that matter, Vitamin E.
Several studies have established an association between low selenium and cancer, including lung cancer. Supplementing selenium in people with low selenium blood levels reduces the risk of cancer including lung cancer. In one study, the reduction in lung cancer risk when a low selenium population in the US supplemented was as high as 50%. Selenium enhances levels of glutathione, a powerful antioxidant, which low levels have been linked to increased risk of cancer. Glutathione levels decrease with age. 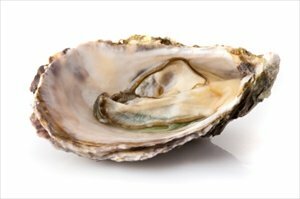 Selenium helps form the protein C43 that stops “cell contact inhibition” and helps cancerous cells behave normally. Selenium promotes cancer cell apoptosis – cancer cell death. Lung Cancer Diet Spotlight on Selenium Selenium functions as an anti –cancer nutrient in various ways: (i) It promotes immune function with one study showing up to an 80 % increase in the number NK cells; (ii) it stimulates cancer cell death or cancer cell apoptosis; (iii) along with carotenoids, selenium is needed for C43, a protein involved in cell contact inhibition, a process that encourages cancer cells to stop growing like normal cells. So what foods contain selenium? …. Selenium is found in many kinds of nuts, seeds, fish and shellfish, meats and whole grains. Beware, however. Your food may not contain the selenium you think it does. …. If the soils in which these foods are raised are selenium-depleted, the level in food will be low. Some regions have naturally low soil selenium levels; others’ low levels are due to intensive farming techniques. Much of the UK and Europe and swathes of the US have low selenium soil levels with low selenium food as a result. Brazil nuts have extraordinary concentration of selenium. Other good selenium sources are sesame and sunflower seeds, fish and shellfish, meat, eggs and whole grains including wheat germ and brown rice and onions. When it comes to a lung cancer diet, have your selenium levels checked. Consume enough selenium rich food. Supplement if necessary until you are in the normal range but, like with all minerals, not too much, so as to avoid toxicity. Curcumin is the active ingredient in the Indian spice turmeric and has been found to have astounding anti-inflammatory and anti-tumor properties. For this reason, it is a wise choice as part of a lung cancer diet. Incorporating Curcumin into your Diet – Use Turmeric •	Order Indian curries when ordering take out, instead of burgers, fries or pizza – Order a mild kind if you prefer less spice and remember the rice is a natural way to lessen the intensity of a curry. Make your own turmeric-rich curries with vegetables including cauliflower, chickpeas, lentils, peas, carrots and eggplant. Incorporate some chicken, lamb or lean beef for a meat flavor but keep a heavy vegetable presence. •	Add turmeric to onions, garlic salt with olive oil and sweat in pan. Add mix to soups, and bean, lentil and vegetable dishes for a curcumin-kick. The yellow color is splendid. Use a splash of agave juice if the turmeric too bitter for your taste. •	Use turmeric in marinades along with garlic, olive oil, onion and other spices. Turmeric combined with other spices works well with meats as well as tofu and tempeh. 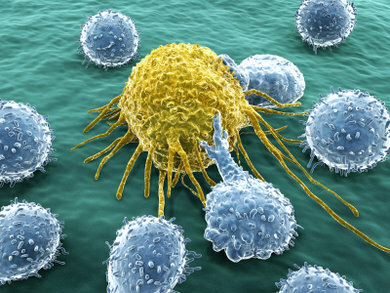 A 2008 article in Cancer Research described curcumin’s ability in the lab to inhibit lung cancer cell invasion and metastasis. The high intake of turmeric in Indian cooking, especially curries, is thought to be one reason for the 8 fold lower rate of lung cancer in India over developed countries, as well as lower rate of other cancers. This is despite the high rate of smoking and pervasive air quality problems in much of India. Combining turmeric with black pepper and ginger, as is done in traditional curry preparation, magnifies turmeric’s anti-inflammatory effects. A 1998 study found combining piperine (an alkaloid in black pepper) with turmeric enhanced turmeric's bioavailability an astonishing 2,000%. Press here to read more about an anti-inflammatory diet and inflammatory foods. With the exception of supplemental beta carotene in smokers, which has been found to increase risk of lung cancer (see below), the protective role of dietary carotenoids when it comes to lung cancer diet is well established. Dietary studies have observed an up to 50% reduction in lung cancer risk between high and low intake of carotenoid-rich fruits and vegetables suggesting that they are wise foods to include in your lung cancer diet. So what are carotenoids? …. Carotenoids are a series of phytochemicals found abundantly in brightly colored vegetables and fruits that are thought to function as antioxidants. They also improve the communication among cells including making cancer cells respond better to signals from the immune system. Carotenoids include not only beta-carotene but alpha-carotene, lycopene, and lutein/zeaxanthin and beta-cryptoxanthin among others. One 2006 study on lung cancer by researchers in San Francisco and Spain found the above combined carotenoids had a protective role when it came to lung cancer. Alpha –Carotene - found in carrots, winter squash, tomatoes and green beans. Higher dietary levels have been associated with reduced risk of lung cancer. Lutein – found in kale, collard green, spinach, turnip greens, broccoli and egg yolks is linked with a lower risk of lung cancer. However lutein as a supplement, like beta-carotene supplements, has been linked with an increased risk of lung cancer, specifically in the 2009 VITAL study published in the American Journal of Epidemiology. From a lung cancer diet perspective, best to get your lutein from dietary sources i.e. fruits and vegetables. Lycopene – found in tomatoes, especially cooked varieties like pasteurized tomato juice and tomato sauce. A 2000 Korean study of mice published in Biofactors found lycopene shrunk lung cancer tumors significantly. The effect increased when lycopene was combined with chemotherapy. Beta-carotene – high blood levels of beta carotene are associated with lower risk of lung cancer suggesting to researchers that it has a protective role when it comes to lung cancer. However, further studies suggest the association may be more a function that those who have high beta-carotene level eat lots of fruits and vegetables, which protect against lung cancer because of nutrients other than beta-carotene like Vitamin C, selenium and a host of other phytochemicals. While supplementing beta carotene has been linked with lower cancer risk among non-smokers, several studies have found it increases the risk of lung cancer in smokers when taken alone. Avoid supplementing beta carotene, if you smoke. Vitamin D has been linked with slowed growth of lung cancer as well as improved lung cancer survival. A 2011 University of Michigan study examining an enzyme that blocks vitamin D metabolism found enzyme CYP24A1 in much higher concentrations in lung cancer tumors than healthy tissue. Patients with high levels of enzyme CYP24A1 in lung tumors (and therefore poor metabolism of vitamin D) at five years had half the survival rate, as those lung cancer patients with low levels. Press here to read more about the benefits of Vitamin D and how to get enough. Omega 3s have been found to slow the growth of lung cancer tumors along with stomach, pancreatic and colon cancers. A 2011 study published in the British Journal of Nutrition found that patients with inoperable lung cancer undergoing chemotherapy, who consumed EPA/DHA fish oil capsules, had significantly fewer markers for inflammation and oxidative stress than those who took a placebo. The fish oil group also gained weight, an important factor when undergoing cancer therapies that can zap one’s appetite and ability to consume nutrients via food. Good sources of Omega 3s are cold water fish including tuna, salmon, sardines, anchovies and herring along with their oils in supplement form; alternative sources are unroasted nuts and seeds including pumpkin, flax, hemp and chia seeds along with their cold pressed oils which eventually convert to Omega 3 in the body. Current views is that it is not only the absolute levels of Omega 3 in your diet that are important in order to prevent or manage health conditions like lung cancer, but also the relative ratio of Omega 3 to Omega 6s in in ones’ diet. Unlike Omega 3s, Omega 6 oils are in relative abundance in the typical Western diet with all the refined food on the menu – in general most food processing techniques destroy Omega 3s but not their Omega 6s cousins. The result is often too much inflammatory Omega 6s in the diet – not good when aiming to achieve a lung cancer diet. Press here for more about the benefits of Omega 3 for a lung cancer diet and other health conditions. Press here to read more about an anti-inflammatory diets and inflammatory foods and how they can play a part of an effective lung cancer diet. Soy has been found to have a preventative role in lung cancer as well as other cancers including those of the colon, breast and bladder. Lab experiments have suggested the protease inhibitors were one reason for soy’s reduction in the risk of lung cancer. A recent study published in Journal of Clinical Oncology found that Chinese women who ate more soy prior to being diagnosed with lung cancer lived longer than women who ate less soy. 60% of those who consumed the equivalent of 4 ounces of tofu per day (the high soy group) were still alive 12 months after diagnosis; while only 50% of those who ate 2 ounces or less (the low soy group) were alive then. Most of the women were non-smokers, so more research is needed to see if the effects of soy are as beneficial in the case of cigarette smokers. A 2009 meta-analysis of studies on green tea, black tea and lung cancer risk published between 1966 and 2008 concluded there was a reduction in lung cancer risk with green tea. Drinking 2 cups of green tea per day lowered the risk of lung cancer by 18%. The study found no link between black tea consumption and a lowered risk of lung cancer, although some of the studies included in the meta-analysis did. The researchers concluded that it was the polyphenols in green tea, which are significantly higher in green tea than in black, that played a lung cancer protective role. While fewer than in green tea, black tea contains polyphenols tool. This likely explains why some studies have found a minor protective role for black tea too. Press on Cancer and Nutrition to read more about how green tea inhibits cancer. There are some foods or food additives that you ought to limit or avoid as part of a lung cancer diet. 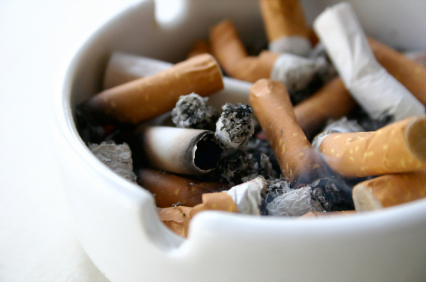 The following have been found to increase the risk of lung cancer or reduce survival rates. Omega 6 seeds including their oils – Too much Omega 6 seeds and their oils in relation to your intake of Omega 3 fats can be inflammatory and raise your risk for lung cancer. You should retain a healthy ratio of Omega 3 and Omega 6 because an overabundance of Omega 6 seeds and their oils can be inflammatory. Press here to read more about Omega 3 benefits and how to achieve a healthy Omega 3 – Omega 6 ratio beneficial for a lung cancer diet. Inorganic Phosphates which are ubiquitous in sweetened sodas and processed foods today because of their ability to improve a food’s texture and moisture content, are not good for lung cancer. According to a 2009 study in the American Journal of Respiratory and Critical Care Medicine, mice with non –small cell lung carcinoma when fed these phosphates saw their cancers progress faster than those not fed them. The study is a disturbing one when it comes to a lung cancer diet, because our average intake of inorganic phosphates is estimated to have more than doubled from the 1990’s to 2009. How to Spot Inorganic Phosphates on Food LabelsIf wanting to limit your intake of inorganic phosphates, avoid foods containing calcium phosphate, disodium phosphate, phosphoric acid, sodium triphosphate, tri calcium phosphate . Press here for more on Reading Food Labels. Beta Carotene Supplements in Smokers - While dietary and supplemental beta carotene has been associated with lower risk of lung cancer, supplementing beta carotene in smokers has been found in several studies to increase the risk of lung cancer. It follows that smokers should not supplement beta carotene alone. There are other carotenoids that appear more effective that beta carotene in any event, but even some of these (beta-cryptoxanthin and lutein) in supplement form have been associated with increased lung cancer risk among smokers. It follows that diet is the first choice for obtaining carotenoids; the synergistic effect among nutrients contained in real food is something a single nutrient supplement could never duplicate. Press here to read more about the benefits and cautions about vitamin supplements. Why Would Beta Carotene Supplements Promote Lung Cancer Researchers have theorized that when an anti-oxidant like beta carotene is supplemented alone, it can become a pro-oxidant when not enough nutrients like vitamin C and selenium are in the mix. Anti-oxidants like vitamin C, selenium and others can help reload beta-carotene’s anti-oxidant potential, especially when beta carotene is combined with the myriad free radicals in cigarette smoke and the oxygen environment of the lung – a volatile cancer promoting combination and a situation to avoid. Vitamin E – Similar to the supplemental beta carotene studies of smokers, research shows a higher lung cancer risk among smokers who supplement Vitamin E. A 2008 prospective study of more than 77,721 US men and woman showed the slight but statistically significant increase in lung cancers when given vitamin E. Best to avoid vitamin E supplements, if you smoke. Get Vitamin E from food including wheat germ and its oil, sunflower seeds and its oils, peanuts and peanut butter, safflower oil, spinach and brocolli. Excess Dietary Fat – An excess of dietary fat from all sources has been found to increase a person’s risk for lung cancer. Watching fat intake, especially trans fats and saturated fats that are not essential, unlike the essential Omega 3s and Omega 6’s, is a wise preventative lung cancer diet strategy. Coffee - A 2010 mega analysis regarding coffee and lung cancer risk published in Lung Cancer suggested a significant positive association between high coffee intake and lung cancer. The combined results of several studies showed an increase in 2 cups of coffee per day was associated with a 14% increased risk of developing lung cancer. Ironically, some studies showed a marginal protective effect for coffee among non-smokers. While more study is needed, especially on the effects of coffee on smokers versus non-smokers in relation to lung cancer, moderating coffee intake is likely a good lung cancer diet strategy. Better yet, switch to green tea. Inhaling fumes from grilled or fried meat – A 2000 study of Chinese women with lung cancer found that inhaling fumes from grilled meat increased the risk of lung cancer. The researchers determined it was inhaling the carcinogenic heterocyclic amines produced when animal proteins are cooked at high temperatures that escalated the lung cancer risk. When grilling or frying meat in a commercial or home kitchen make sure the area is well ventilated or use alternate lower temperature forms of cooking like braising or roasting. Press here to read more about cancer and nutrition and how it will impact on lung cancer and other cancers. Press her to read more about a cancer fighting diet. Press here to read more about anti-inflammatory diet and what inflammatory foods you should avoid when you have or seek to prevent cancer. Press here to read more about the benefits of vitamin D and how it can play a part in a lung cancer diet.